Special-lite doors are factory built and can have the hardware installed at the time of assembly. By building the doors on a jig, perfect fit and adjustment is assured. The ten-year warranty is an added bonus. 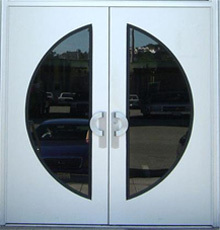 Special-lite doors come in a wide variety of types. 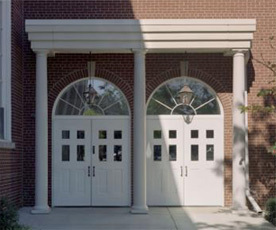 Aluminum flush doors are perfect for high-traffic and high-abuse installations such as schools or hospitals. Fiberglass-faced doors come in colonial wood-grained finishes as well as pebble-grain finish. Many standard colors are offered and custom color-matching service is available.